Let me take a guess - you're going to a BBQ for Australia Day? Or hosting one? 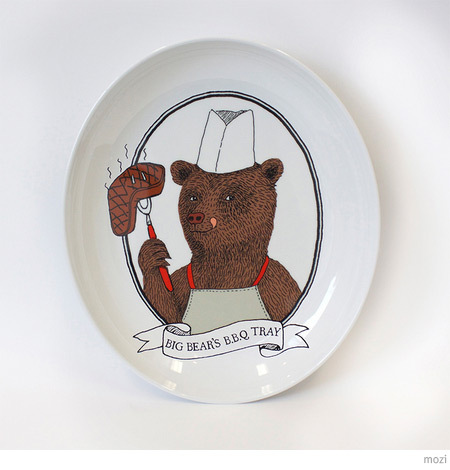 How about serving up your mushrooms/lamb/steak/fish on this pretty fabulous BBQ Bear melamine platter from MOZI. Super-cute and fun to boot. You can find this plate and more great Australian-designed lifestyle products in MOZI stores in NSW and Victoria.